Noosa is a seaside town that’s blessed with year-round sunshine, incredible lush hinterland and a collection of Australia's most popular beaches. This Queensland gem has it all when it comes to natural beauty, which is why you might be surprised that it also has an impressive menu to match. High-end eateries and glamorous bars rival those of any major Australian city, but in Noosa your dish is served with a coastal backdrop and a light and relaxed attitude. Venture to this slice of pristine coast to soak up the sun and sink your teeth into the incredible local dining scene. From the hinterland to the beachfront, Noosa serves up only the best eats. Wasabi Restaurant & Bar is the product of renowned Executive Chef Zeb Gilbert and his contemporary Japanese cuisine is a long-standing favourite amongst locals and tourists alike. With river-facing digs, Wasabi has its windows wide open so guests can enjoy fresh breezes and watch the fish swim by in the river below. The tekka don sashimi (Mooloolaba yellowfin tuna, hishio raw soy, Japanese mountain vegetables, pickled local bamboo) proves it’s not just the sun and beaches that draw people to Noosa. In Japan, restaurants specialise in specific local cuisines that use ingredients that can only be found in their area. Gilbert stays true to this concept by using as many locally-grown ingredients as possible and, in turn, came Honeysuckle Hill, a farm where his team grows fresh produce that ultimately ends up on your plate. 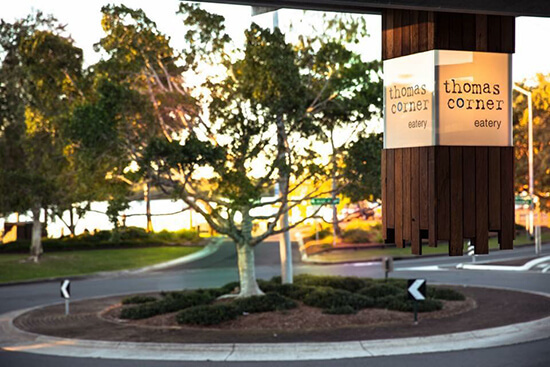 Thomas Corner Eatery takes a similar approach by continually reinventing a menu that supports Noosa’s local farmers and producers. This award-winning restaurant carries flexibility and creativity in the kitchen and on the plate and, above all, its east coast king prawns should not be missed. It’s a restaurant that best illustrates Noosa’s ability to serve sophisticated dishes with its signature laid-back coastal attitude – without the expensive price tag. Moving away from Noosa River and towards the beach you will discover Bistro C. Complete with view and award-winning menu, it will quickly put you in holiday mode. Order its signature caramelised pork belly, and wash it all down with spiced apple pie cocktail. 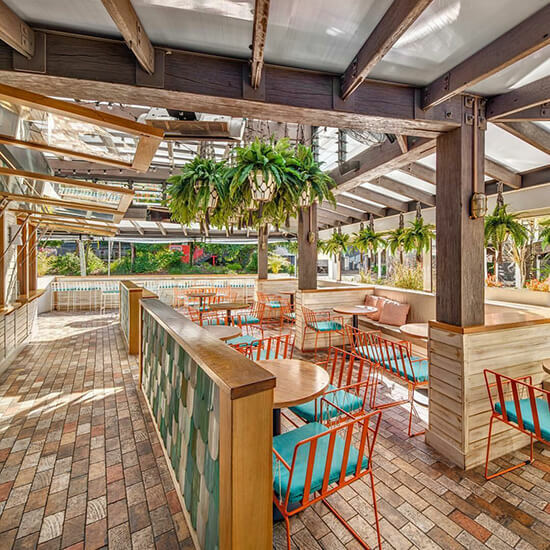 Keeping with the vacation theme, Bistro C’s spacious, cool and comfortable décor will have you relaxed. 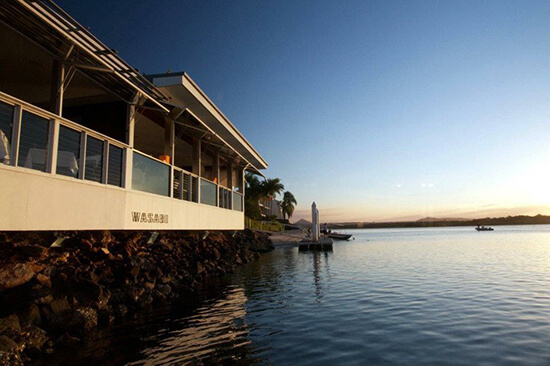 Sit back with a tipple in hand as the sun goes down at some of Noosa best watering holes. Rickys River Bar & Restaurant is a delicious escape with uninterrupted views; it never fails to deliver a quality cocktail and a good time. The Sunset Martini is an obvious choice when enjoying your riverside location, however the Charlie Chaplin cocktail is equally as zesty and delicious. It’s filled to the brim with apple brandy, sloe gin and a spritz of lemon juice and goes down a treat with Rickys à la carte menu. To any late night reveller looking to stay on beyond sunset drinks, pop down to Café Le Monde in Hastings Street. The drinks menu is extensive, from dessert wines to beer, cider and spirits and I guarantee you will want to come back to this little gem so you can try them all. Treat yourself to a moonlit cocktail at the sedately glamorous bar, Embassy XO. It boasts leopard print wallpaper and red and white striped stools, making for a hip spot to enjoy yum cha and cocktails. But, for something a little different, praise must be given to Betty's Burger and its non-existent wine list. As the name suggests, Betty’s Burgers is dedicated to your classic meaty and messy burger, but it’s the dessert drinks menu that deserves some long overdue attention. It’s their thick shakes that mix in rich and creamy custard ice cream with some of Betty’s favourite treats that must not be missed. Hungry for Noosa? Make an appointment with one of our Travel Experts today and they'll help you plan your tailor-made Queensland adventure.